The guide to Vermont's independent country stores has rolled off The History Press. 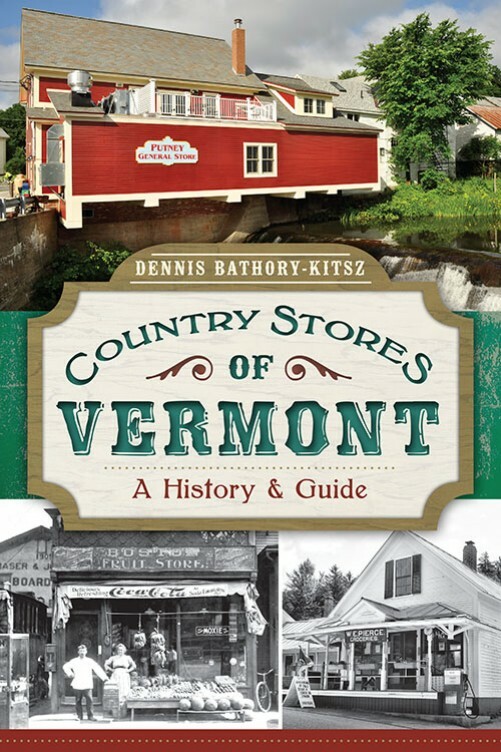 Country Stores of Vermont: A History and Guide was written by Vermont Alliance of Independent Country Stores former executive director (2001-2010) Dennis Bathory-Kitsz. The 192-page guide covers the history of country stores and includes ten tours with driving directions and maps, with sixty-five modern and historical photos. If you're visiting Vermont, this book is a must-have! The book is available at Amazon.com in print or Kindle formats, or from any of our country stores or local bookshops. There was a Vermont Public Radio audio postcard about the first edition from 2008 and also that edition received the cover story on Seven Days, our premiere Vermont arts and entertainment newspaper. Writes the publisher, The History Press: Each Vermont country store carries its own particular stock of special wares and memorable characters. From the Connecticut River to Lake Champlain, country stores and their dedicated owners offer warmth against the blizzard, advice and a friendly ear or a stern word. Neighbors meet and communities are forged beside these feed barrels and bottomless coffee urns. Author Dennis Bathory-Kitsz returns once again to the Green Mountain State with this updated and revised history and guide to its beloved country stores. When Hurricane Irene threeatened many of these local institutions and communities in 2011, Vermonters came together, often at their country stores. Explore the very heart of communities big and small, where locals have been keeping their house keys behind the counter and solving the world's problems on the front stoop for more than two hundred years. The following information changed after the book went to press on October 21, 2013. These updates are as of April 2, 2018. The Falls General Store (Northfield Falls) is open again. The Waits River General Store is open again. The Ripton Country Store is open but is for sale. The Middlesex Country Store has closed its doors again. The Grafton Country Store has closed its doors. The Red Store (Plainfield) has closed its doors. Charles Wilson, the former owner, no longer lives above the Taftsville Store. The second edition can be found on Amazon as well as in Vermont's country stores and bookstores (yes, please buy your copy locally!). Autographed copies can be obtained directly from the author right here! for $20 postpaid within the US (via media mail only). Orders via first class mail or outside the US should go to the author's home page and contact him. The old edition is still to be found, but at a price, on the Amazon.com out-of-print and limited availability page. Dennis Bathory-Kitsz was the longtime director of the Vermont Alliance of Independent Country stores, from 2001 though 2010. The alliance's mission is to promote and enhance country stores while preserving their unique heritage and contributions to their communities, and its support of the creation of "Country Stores of Vermont" was welcome. 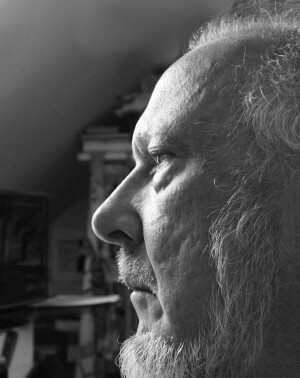 Dennis is well known as a composer of nonpop music and has been a faculty member at Johnston State College and Community College of Vermont. He is the founder of Malted Media, a website for artists and composers to collaborate and share their work, and has written extensively in a variety of publications on topics ranging from musical composition to computer technology and software development.